The construction of Diamer-Bhasha Dam (DBD), which would produce 4,500MW electricity and store 8,000,000 acres feet of water has been put in jeopardy by the World Bank and the present chairman of WAPDA, who prefer Dasu dam over DBD. 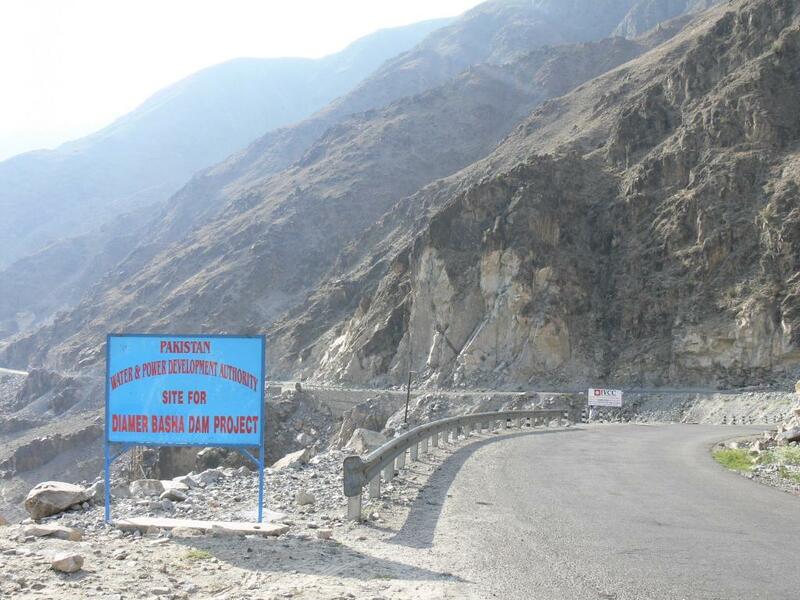 An official note recently circulated by former chairman WAPDA and presently adviser to the Ministry of Water and Power on DBD, Shakil Durrani, to all concerned reveals that the World Bank does not want the construction of the dam though the Asian Development Bank (ADB) and Friends of Democratic Pakistan are willing to finance the project. “It is unfortunate that the World Bank is creating a controversy that might result in further delaying a project (DBD) which was unanimously endorsed by the Council of Common Interests and has a national consensus behind it,” the adviser said. Referring to a meeting, headed by the deputy chairman Planning Commission on February 12, 2013 on the DBD project, the adviser said that all participants unanimously agreed that the highest priority today was the construction of the DBD. However, Chairman WAPDA Raghib Abbas Shah, initiating the discussions, stated that in view of the inability of the Government of Pakistan to raise the financing for the DBD and the ‘non-responsive’ attitude of the Asian Development Bank towards the project, the GOP should prefer the construction of Dasu Dam which is downstream of the DBD. The WAPDA chief said that whereas the DBD would cost US$14 bn, the cost of Dasu was US$6 bn and it would take six years to complete. It was also reported that the World Bank would provide US$500m for Dasu Dam while the balance financing would be secured from other donors and through the revenues generated by the sale of power from the phased construction of Dasu Dam. Shakil Durrani, however, did not endorse the views of chairman WAPDA and stated that in the context of strategic preference in economic terms, the DBD was much more important in every respect than Dasu Dam. In addition to water storage and more electricity production, DBD would assist in raising two billion extra units of power from the existing power houses at Tarbela, Ghazi Barotha and Chashma hydropower stations. Bhasha would also serve as a flood control dam and would be instrumental in increasing the life of Tarbela by at least 35-50 years. The flood damages in 2010 amounting to US$10 billion and the loss of 2,000 lives could have been avoided if there was a large storage upstream. He also felt that the costs of Dasu Dam have been understated and the construction period deliberately condensed by the World Bank. The cost of DBD also contains US$4 bn for the Interest. During Construction (IDC), which has not been mentioned for Dasu because the latter is supposed to be constructed from its own revenues. The revenues of DBD, which are estimated at US$1.85 bn annually, would be received by the GOP while those of Dasu would under a bizarre and untested World Bank proposal is to be invested in the project itself, the adviser said, adding that if the same proposal was made applicable to DBD, its cost would also drop by US$4 billion. In reality, Dasu would end up costing more because of escalation and inflation since it would be built in phases. Durrani, who headed WAPDA for a few years recently, also emphasized the fact that WAPDA’s study on ranking of projects clearly states that the DBD should be constructed before Dasu. Without the DBD, he added, only two tunnels and not more than six units could be established in Dasu. Dasu in any case without annual flushing would be silted in 15-20 years. For the DBD, the GOP has so far provided nearly Rs18 billion with which nearly 2,000 acres of land has been acquired and 12 contracts for roads and civil works awarded. All the detailed engineering and design and environment and resettlement studies have been completed since long. About the financing plan for the DBD, the adviser said that it is proceeding satisfactorily and in principle the major parameters have been determined. The only stumbling block, he said, is the delay on the part of the government to accept the ADB-FoDP (Friends of Democratic Pakistan) water sector task force report on water, which has now been done. This acceptance would trigger the provision of US 15 million technical assistance by the ADB and USAID for the ‘Due Diligence’ studies of the DBD and then the donors’ commitments would follow. Regarding the WB opposition, he said that the World Bank does not favour the construction of DBD because of its internal compulsions and the large lobby within it against the DBD. He said it is well known to the Pakistani policymakers that the World Bank does not want any large water sector project to be developed in Pakistan in which it is not a major stakeholder. He said that the WB should not be permitted to impose its priorities on Pakistan as it did in the case of the Social Action Plan (SAP), the National Drainage Plan (NDP), the Community Infrastructure Programme (CIP) and others.